The fund finances the stabilization of slopes, lagoon recovery and reforestation in the watersheds. 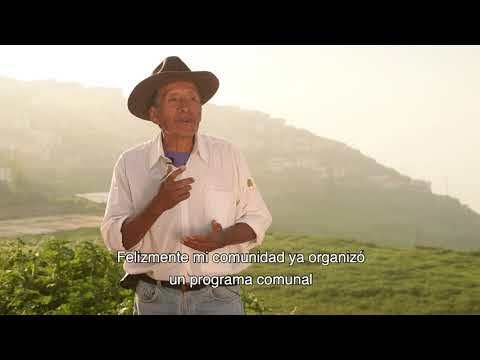 Have you ever wondered what it’s like living in Lima, the world’s second largest desert city?How do the nine million people living there get the water they need to drink, wash, and irrigate crops? Lima, Peru’s capital city, obtains water from three rivers — Rímac, Chillón, and Lurín — that originate in the high peaks of the Andes Mountain Range and flow into the Pacific Ocean. For decades, the constant pressure for urban expansion, coupled with unsustainable mining and agriculture practices in the highlands of these valleys, has caused a serious pollution and environmental degradation problem in these watersheds. In addition, there is a need to reduce the amount of water consumed in this city. Currently, each person living in Lima uses approximately 66 gallons of water per day, an amount well above that of other large cities of South America such as Bogotá, in Colombia, or Santiago, in Chile, where the average use is estimated in 40 gallons per person each day. The Lima Water Fund is formally known as AQUAFONDO. Watch this video to learn more about AQUAFONDO (note: only available in Spanish). The financial administration of contributions made to Aquafondo is the responsibility of FONDAM, an organization with ample experience managing resources from debt-for-nature swaps between the governments of Peru and the United States. The Fund has a Technical Secretariat that sets criteria and establishes priorities for projects and programs according to the Fund’s strategies, which will be in line with national, regional and local policies for the management of water resources. Aquafondo is also a great opportunity for companies with social and environmental responsibility programs that may be interested in contributing to the conservation and restoration of these watersheds. In addition to the private sector, the launch of Aquafondo has been well received by the public sector. The future mayor of Lima, Susana Villarán, publicly expressed her commitment to support this Water Fund. The regional governments of Callao and Huarochirí have done the same. As global demand for food, energy and shelter put unprecedented pressure on our water resources, protecting water supplies at their source is increasingly critical to ensure the water security of cities. By protecting and restoring forests, grasslands and wetlands, and by reducing agricultural runoff that runs to rivers and streams, cities benefit from having nature retain freshwater, filter pollutants and reduce erosion. These practices increase the capacity and performance of built infrastructure, saving cities money and helping them achieve water security. 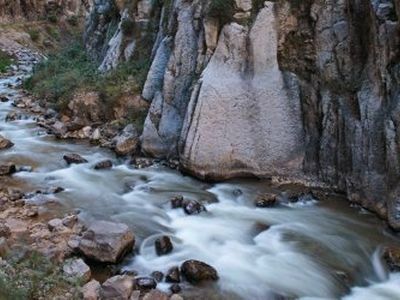 Funding for watershed conservation may come from a variety of sources but legislation, as that reflected in the new water tariff structure for Lima (Peru), provides the substantial, long-term guaranteed financing needed for source water protection. Download the document explaining Peru’s Water Tariffs and approach to Source Water Protection.